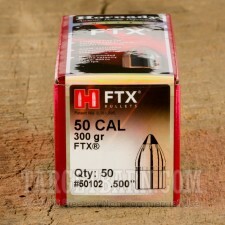 These .50 caliber bullets from Hornady are designed for powerful hunting handguns chambered in cartridges such as .50 AE. Each heavy 300 grain bullet in this box of 50 has an aerodynamic polymer tip that fills the expansion cavity and helps the round produce wide mushrooming even at lower velocities. The Flex Tip design is filed under US Patent 8,413,587 and offers excellent performance for handguns and lever-action rifles. 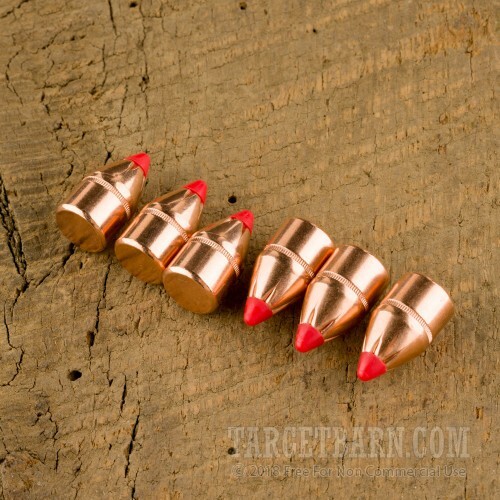 Like other Hornady products, Flex Tip bullets are made in Grand Island, Nebraska. 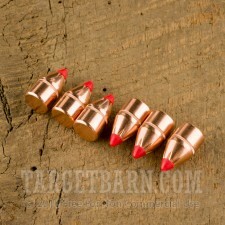 Q: Can these bullets be used on a 50AE handgun. If so, what is the OAL for these bullets once loaded. A: The acceptable range for OAL for a 50 AE is 1.560" - 1.610". Be sure not to load outside of accepted parameters and always consult a reloading manual for the products you use when reloading.